I’m a simple girl. I’m also very natural. I don’t really like make up, nor lotions and potions. I find it too much hassle and I much prefer my good-life skin glow to artificial radiance. As much as I’d love to hide my deepening wrinkles, and I scrutinize them probably a little too much, I take comforted by the stories of laughter and wisdom they show. (Secret spill – I do sometimes use the air brush function on the picmonkey photo editing software, lol). Makeup never made my suitcase. It’s only been the past two years that I wore makeup almost every day. Why? Because I felt so beaten down with life that I needed a little sprucing up. My mission with this road trip around Australia, was to ditch the makeup and return to the glow that comes from living a life you truly love. I’m getting so used to purity, the thought of putting it on makes me a little ill.
Like I’m trying to cover up the true me. Now to my skin care regime. Again, it was something I never was good at following. I love warm, humid, nourishing environments so cleansing my face with soapy, cold face washes repels me from any kind of skin routine. My skin was suffering: lacklustre, wrinkly, dry, and prone to pimples. Vanity was sending me into depression. I had to do something fast. 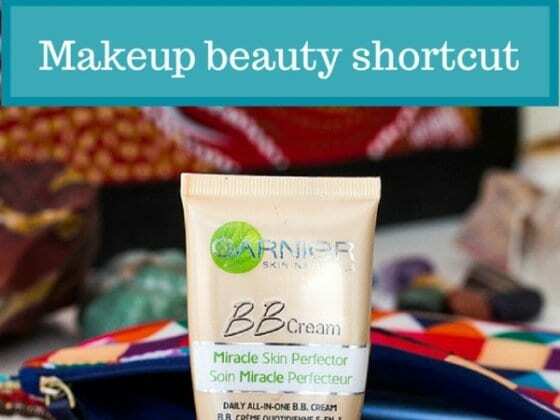 I turned to my guru, Sarah Wilson for a nourishing, natural beauty approach. Oils. Get them on your face, she cried. My chemical laden lotions and creams were all tossed out and replaced with 3 small bottles of oil. I now don’t put anything on my skin I can’t eat. I have a regular skin care routine that is simple, cheap, easy and warming to my soul. I am now seriously in love with oils. I try to get organic skin care products when I can. Some of the links below maybe affiliate links, which means I get a small commission (at no extra cost to you)if you choose to purchase through the links on my site. Every evening, I smear jojoba oil on my face (only need a few drops), jump in the warm shower, and let the steam do its job by helping to draw out the gunk. I then wash it off with a face cloth. It’s super easy, relaxing and warming. It may seem counter-intuitive, but oil sticks to oil. I spray a little rosewater and chamomile toner on my face – still not sure what toner does, but it feels refreshing and nourishing. OMG my skin slurps up this angel elixir. Rosehip Oil will shave off the years and give your spark back. These bottles take up minimal space in your luggage. They’ll last for a long time, and are far cheaper than any of the chemical beauty products. For example, these three oils cost me around $60 in total. I’ve had them for three months and still have 3/4 of the bottle left. Make sure you read the label so you get the pure organic stuff and the oils need to be cold-pressed. The labels I have used and recommend are Trilogy, Natural Alternative, Jojoba Company and Vrindavan. I’ve recently fallen in love with Mira’s Hand. I use her mask on my face and hair. Rhassoul Clay has been used for over 1,400 years by the Ancient Romans and Egyptians as a natural beauty treatment for skin and hair. 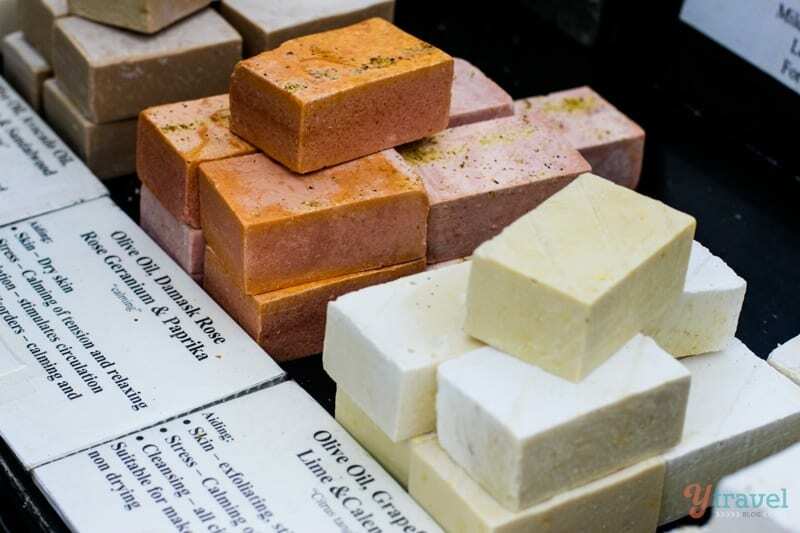 I love to pick up olive oil or goat’s milk soap from local markets. It’s soft and gentle for your skin, giving you lots of healthy moisture. Again, Jamil’s Hand, is rocking my world with her Savon Noir, black soap. It smells a little funky (I swear my Mum used soap like this when I was young), but it gives your skin a good exfoliation. I have an exfoliating hand glove as well. I use it once a week in the shower. It’s a great way to boost your lymphatic system and get rid of those dead skin cells. It’s rare I cook a meal without my coconut oil. It adds a Shazam of flavour to your meal. I scoop a spoonful out and use it as a body moisturizer – natural, simple and va va voom. I do have to restrain myself from eating my own body parts, it smells so good. If you want more natural beauty tips check out Econest. I’ve gotten heaps of good tips from here. Want to smell nice on your travels? Check out these natural and very portable perfume sticks that are meant to “roam” the world with you without the threat of spills or leaks in your luggage, purse or pocket. What’s your skin care regime on the road? Do you love oils? Love it! I’m still experimenting with skin care (I had some changes to a daily medication & it’s caused me to break out like crazy.) BUT, I have had success with oils in the past! Castor + tea tree worked well as a cleanser for me and felt ahh-mazing. I’m currently going “no ‘poo” with my hair and trying to stop using shampoo. It’s taking a little while to regulate, but it’s not nearly as bad as I thought it would be! I just discovered Artisana coconut oil in a packet. It’s a sealed foil packet, so I can take it on the road to use as my body moisturizer, but no worries about it spilling in my bag. Found it at Whole Foods, then discovered Amazon.com carries it, too – yay! Just started using shampoos and conditioners from Morrocco Method (I bought the starter kit from the website) – all natural, raw hair care. So far, so good! Thanks for the tips, Caz – will definitely be trying some of this! My regimen at home or travelling is a natural oatmeal soap and coconut oil for moisturizer. Love the info for the coconut oil in a packet. I always just take my big jar! Thank you for the tips! Hi Caz and Graig! 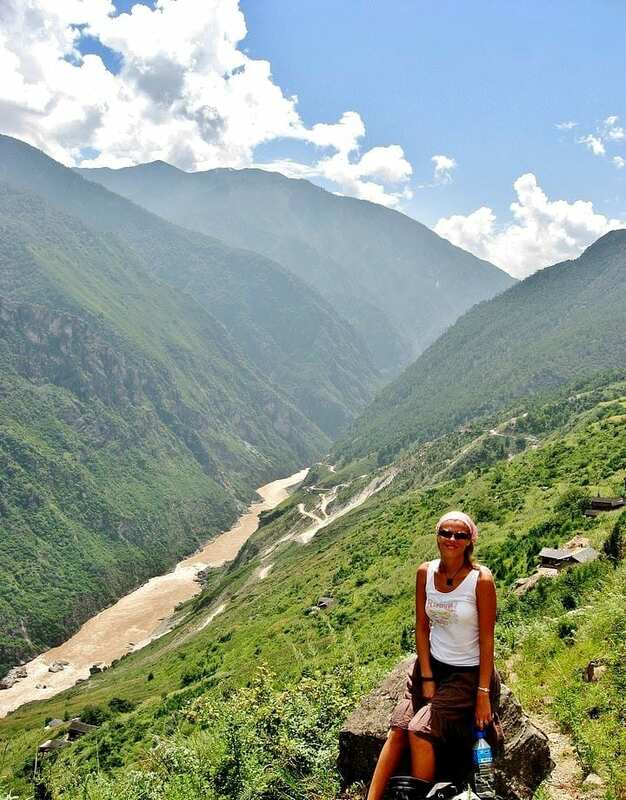 I am so glad I accidentally found your wonderful travel blog several months ago and since then I am a regular visitor. Your blog is so inspiring, full of ideas, so lively and full of valuable information. You are doing a great job and you are good at what you are doing! I love that there is a new article every day this year. Good luck and thanks for bringing excitement in the everyday routine! Thank you so much Irene. We appreciate this! My mother always reminds me that a face (unlike a pair of jeans) you cannot borrow from a friend for a girls night and return the next day. Therefore, we need to care for our faces. I also prefer au naturel. Never in my life did I own a mascara, blush or anything linked with make-up. Thanks for the great tips, Caz. I’ve definitely become more concerned with the ‘gunk’ I put on my skin as I’ve gotten older. I’ll be trying out the oils you recommend and will visit the Econest website, too. Would love some ideas of natural products to use instead of shampoo. Great tips! I have a no fuss routine as well and prefer to use natural products so will definitely be pinching some of these ideas! 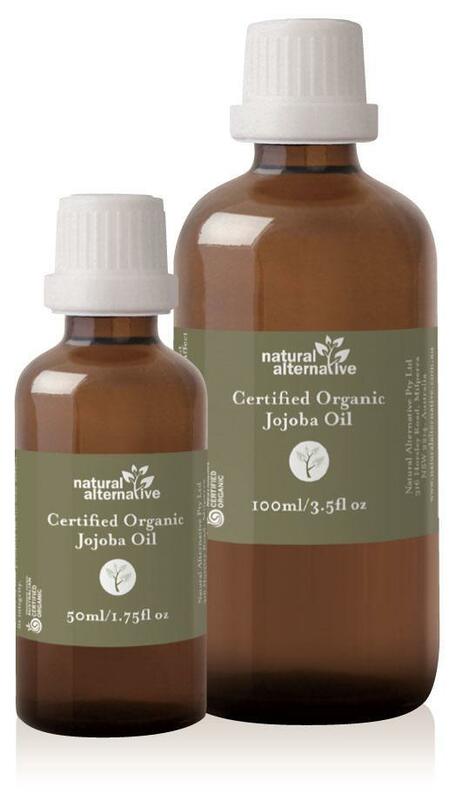 I used Jojoba oil on my skin ages ago but never thought about the benefits of having oils which last a long time and therefore are convenient whilst travelling. I will definitely have to get back into that once my current skin care products run out. Thanks so much for this post! I used to use natural products and oils, but for some reason stopped and now only use water. But I suffer from pimples and dry skin. I hardly use make up since it’s not very practical in Africa 🙂 But.. I’d love to take more care of my skin and this article really gave some good tips on that. I’m sure the oils will really help you. It’s done wonders for me. Those little bottles are perfect for travel! Of course, one of my favourite parts of travelling is discovering new kinds of skin care products that are popular in each place I’m exploring. I’ve found some really neat products that way. I love checking out local markets. You find so many gems there! 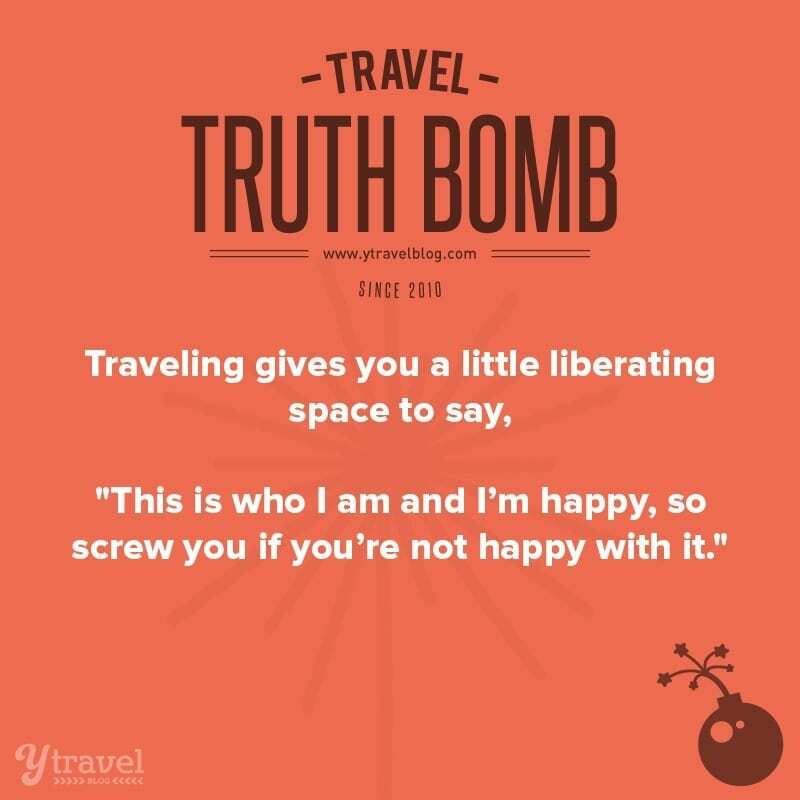 I’ve always tried to keep the cosmetics simple when I travel. I think it started with the backpacking and trying to have as little as possible to carry on my back. I use Clinique so take the face soap and bottle of moisturizer, I leave the rest at home – though these days I think I add the night cream as well (yes we are all getting older). For make-up it’s really basic: lipstick, eye liner and mascara. As far as I am concerned I’m on holiday. Those I am with love me anyway and there is no-one to impress. Caz! I’m dying to know what you do with your hair care once you go a la natural. I’ve got limp, straight, lifeless hair and so I’ve decided to ditch the shampoo and conditioner and look for something more natural to put in it. Camping across the Nullabor for a week with no shower made me realise my hair actually looks better when I haven’t washed it for a while… Can’t wait to see what you come up with because your skin is absolutely radiating. Thanks for tips! I am actually rather terrible with my skin care routine since I’ve been blessed with relatively good skin. I normally just wash my face with water and I’ll use a facewipe if I have worn make up that day. Last week we were in Playa del Carmen and because of the humidity my skin got a little worse so I tried a fash wash in the supermarket and it was horrible haha I think I might check out the roseship oil, natural normally is best. Caz…like you I also prefer natural products for my face because they haven’t any side effects. Out of these 7 oils, I only use coconut oil and tea tree oil for my face. In the absence of shower, this tea tree oil wipe is great for cleaning skin and I whenever I go for vacation I never forget to put this in my purse. I am glad I found your brilliant post and got to know about these 5 essential oils that are good for skin. Thanks a lot for making such helpful pot. My skin always suffers when I travel because I leave some products at home. Thanks for the tips! Sometimes it can be very hard to find space for everything yes. Do you get bigger bag or smaller products??! Do you have a recommendation for a natural anti bug cream or spray? I also don’t want to use any chemical laden products. 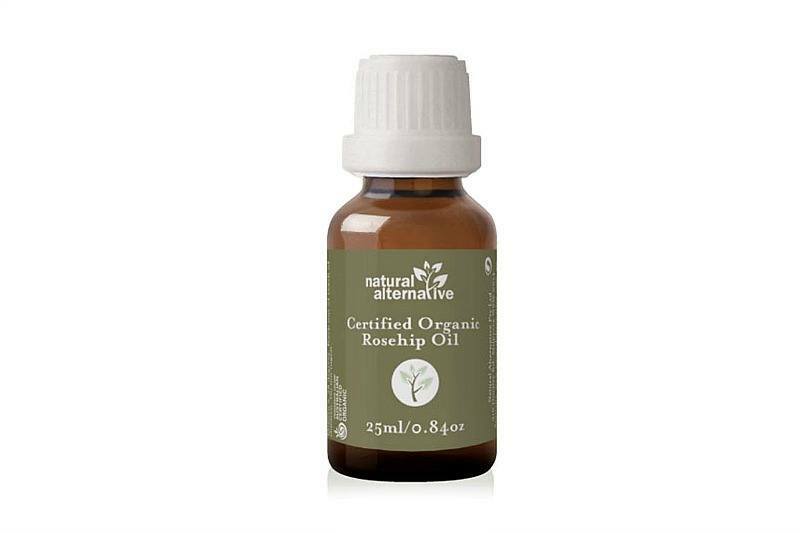 I’m going to pick up Rosehip Oil, where can I get the best price? Hi Caz! I just started cleansing with oils after a year long trip to India and SE Asia and I was craving becoming chemical free! We are about to leave on our next adventure and wanted your advice on bottles for storage and travel? Also, are you constantly washing your wash cloths as I imagine you do this everyday? I anticipate buying/bringing quite a few microfiber wash cloths and washing each week. I buy small bottles so I just keep my oils in there for storage, in my vanity bag. It works well. The wash cloths are a problem. I’m always tending to lose them or not wash them enough. I was travelling with about four so I did not have to wash every day. But, they are ike socks – they just disappear! Lately I’ve just been washing it off with my hands. Not as good, but still works. I used to find these type of oils very beneficial some time people need urgent care for their hair ! Al tough these things make social life easy and more beautiful so every one must go for such good ideas ! Such a great article! There are so many skin care methods today that makes me so confused. I was looking for the natural ways and found your writing. Thank you so much for sharing these useful experiences. I have heard that coconut oil can also be used for hair and even eyelashes. I’m going to pick up Coconut Oil, may I get the best price on the internet? 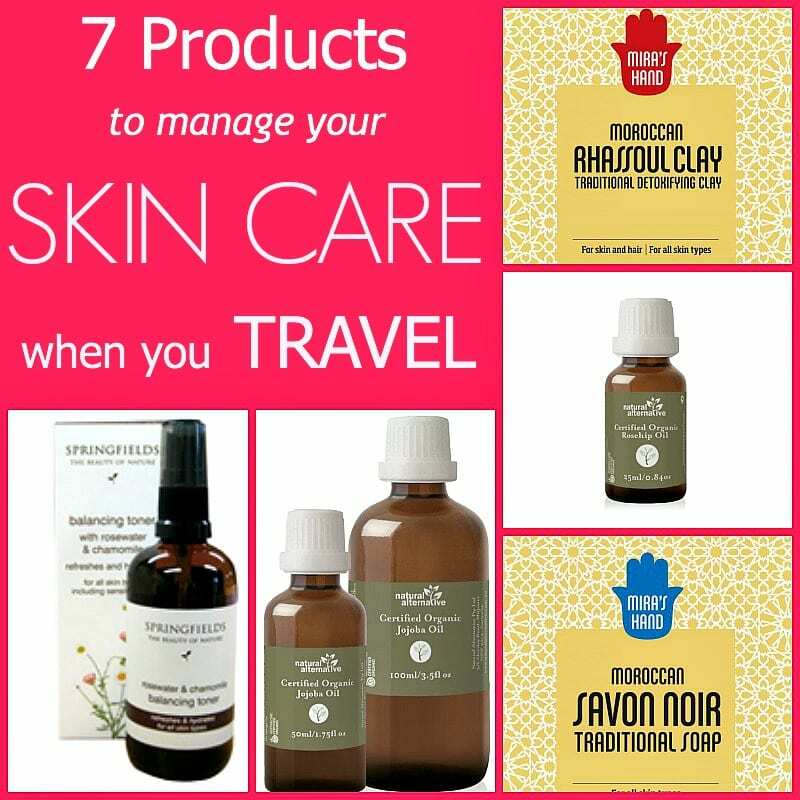 One tip I have to recommend because it’s my go-to–find a skin care brand you love and see if they make a travel kit. Then you have this pouch of your whole routine ready to go, it just pops into your suitcase. I recommend the one from Yu-Be Skin Care. Really appreciate thanks for sharing this post !!!!!! I love Rosehip oil because it contains a great combination of fatty acids, anti-oxidants, and vitamins that reduce scarring, improves your looks, anti-aging, and removes wrinkles, spots, and scars. These products are ideal for maintaining youthful look, hydrated, healthy skin. All I want to say really appreciate thanks for sharing this post !!!!!! i also think that being simple or covering your skin with basic makeup is much better than the having a fully loaded makeup face there is no inner beauty can be seen with that so be simple show your best !